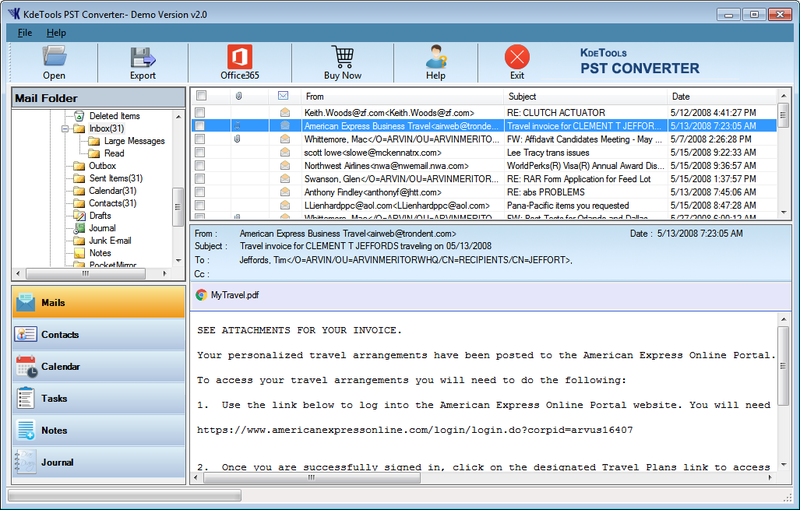 How to Convert Outlook PST Files? 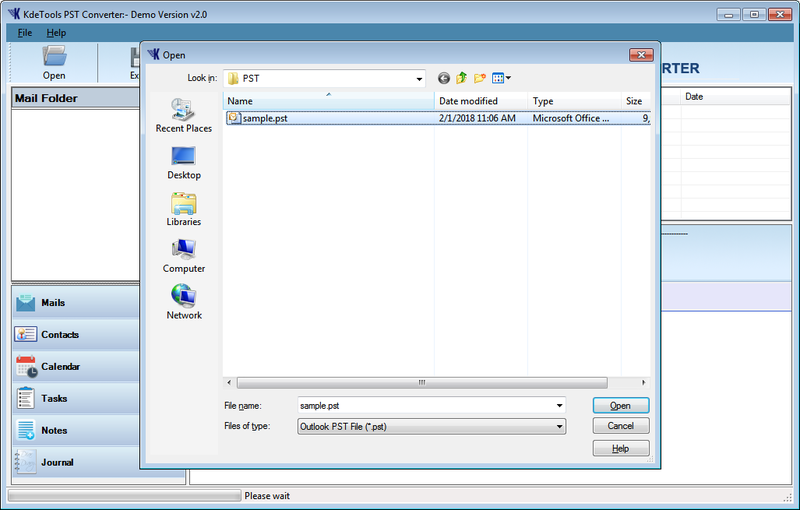 Step 1 Download and Run PST converter software, then click on 'Browse Button' to load PST file. 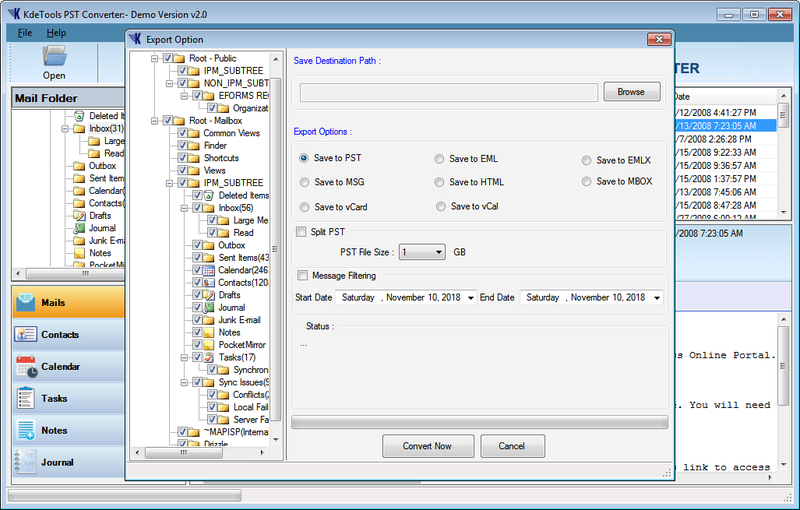 Step 2 After load PST file, you can check PST file 'Preview' on the right side of the software. Step 3 Then click on 'Export button' to choose required saving option. 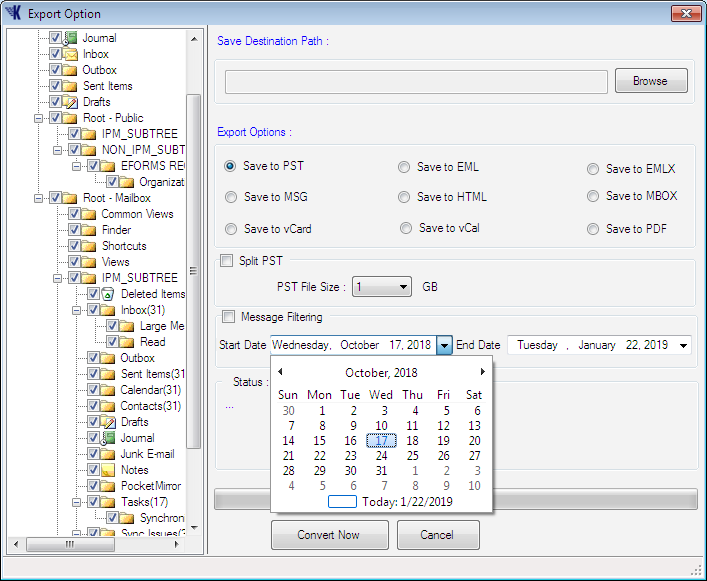 Step 4 After selecting saving option you can choose 'Split option' to split the PST file by size. 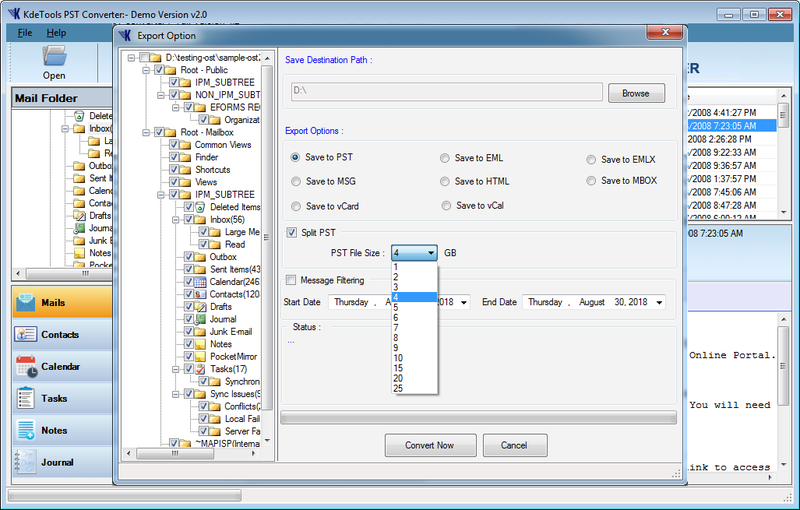 Step 5 Select 'Message Filtering option' to split the PST file by two specific dates. As shown in the screenshot. Step 6 Click on 'Convert Now' button to start conversion process. After conversion process is done then shows a confirmation box. Step 7 Click on 'Office 365' button to import PST file to Office 365. After selecting option Click on 'Start Processing' button to import PST file to Office 365 account. 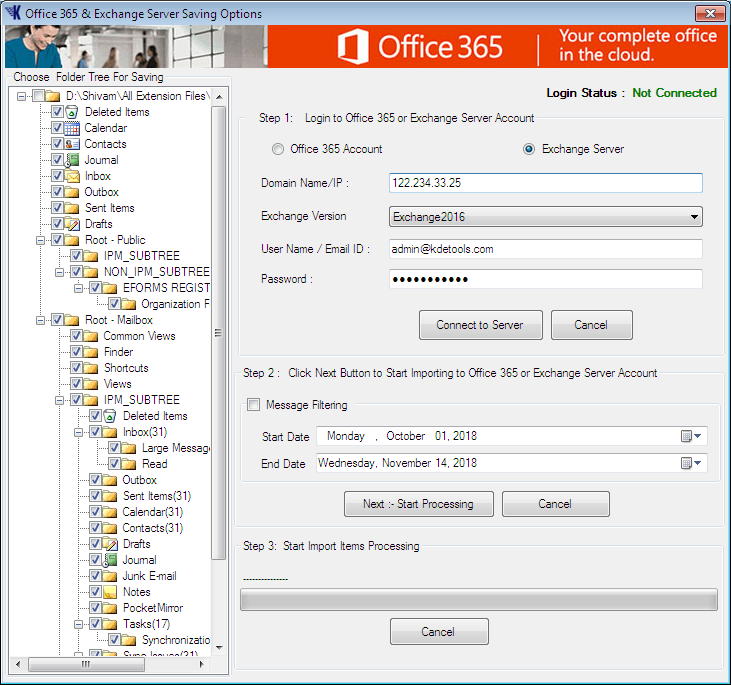 Step 8 Click on 'Exchange Server' button to import PST file to live exchange server. 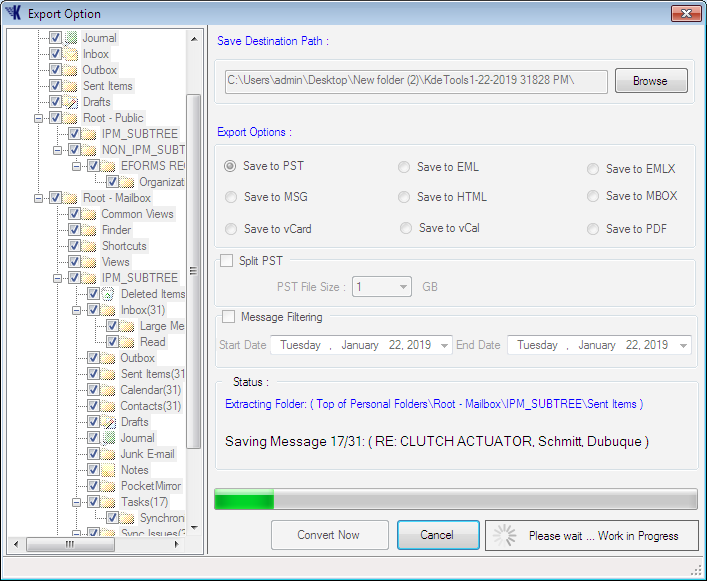 After selecting option to click on 'Start Processing' button to import PST file to live exchange server. Copyright © HowtoSol® is a registered trademark of KDETools Software.